Anne Evans Estabrook-Human Rights Senior Fellow John Prendergrast spoke to students in the Miron Student Center Little Theatre for a lecture entitled "Success Stories in Student and Celebrity Activism". John Prendergast came back to Kean University to give a speech on student and celebrity activism to prevent crimes against humanity. 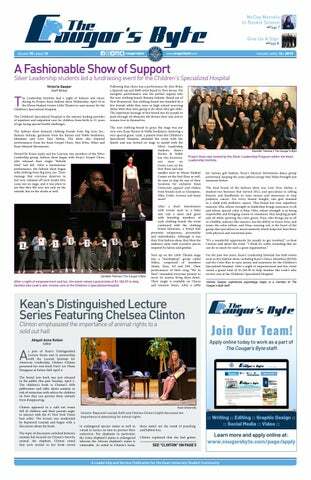 The event, titled "College Hour with Kean's Anne Evans Estabrook Human Rights Senior Fellow: John Prendergast," was held at the Little Theatre in the Miron Student Center (MSC) on Tuesday, November 3, 2016. From 3:30 p.m. to 4 p.m., Prendergast spoke to a small crowd composed of students and other officials from the Human Rights Institute about the many injustices that have plagued the very core of humanity itself, and the effect that students and other social activists can have when they use their voices to speak against inhumane crimes. "Social change is possible when others speak up about injustices," said Prendergast, when speaking about what people can do when they are affected by inhumane injustices. "People's movements create change, and their efforts make the world better." The human rights activist commended the efforts of student activism throughout history, and noted that students represent the voice of the future through the eyes of older politicians. "Politicians have a romanticized view of the past, and create interest and hope for the future with student influence," he said. Prendergast mentioned many cases of social outcry involving students, such as the racial divide of the period of Apartheid in South Africa and the students that worked across the globe to dismantle the prejudicial system that imprisoned South African President and activist Nelson Mandela. He also spoke about the "Kony 2012" movement as it concerned high school and college students and was dedicated to the raising of awareness of the Lord's Resistance Army that inhumanely militarized young African children. Students and other young activists were not the only individuals Prendergast complimented during his half-hour speech. He spoke about the work that celebrities have done in opposition to inhumane acts. "Celebrities are able to make causes louder, and gain a supportive audience with their influence," Said Prendergast. In great detail, he mentioned the work that he had done with famous celebrities, ranging from actress and filmmaker Angelina Jolie and actor Ryan Gosling, to actors Don Cheadle and George Clooney. He also referred to the various projects he had embarked on with them. For instance, he shared his experience learning about the Rwandan genocide that featured Cheadle's role of Paul Rusesabagina in the popular film "Hotel Rwanda", as well as the process of raising awareness for the child soldiers in Northern Uganda with Ryan Gosling. Prendergast praised the accessibility people have in finding out about the various human injustices in the world as well. "In an interconnected world, it is impossible to ignore human rights violations, as we're connected to the abuse because of the consumerism that surrounds us," said Prendergast. "Our actions have consequences, and activism will be continuing. Genocide and mass atrocities can and will be stopped." 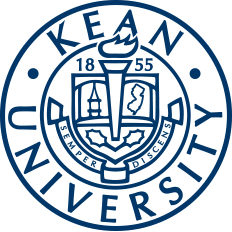 Prendergast has done this event for the past six spring and fall semesters at Kean University since being introduced as the Anne Evans Estabrook Senior Fellow on Tuesday, March 4, 2014 by President Dawood Farahi. For those looking for more information on human rights activism, the Human Rights Institute can be reached at humanrights@kean.edu. Marcus Van Diver, a senior majoring in communications with a concentration in mass media, has been a Staff Writer for The Cougar’s Byte since October of 2016. He has aspirations of working in the field of sports media and wishes to be a broadcaster, journalist or radio host for any major news corporation. His hobbies include, reading, exercising and playing sports. He is an avid fan of his New York Giants, Boston Celtics, Philadelphia Phillies and New York Rangers.